Conscious Box is a monthly delivery of pure and sustainable products that are hand picked from business that care for the plant. The box retails for $12.00 a month plus $7.00 shipping. These boxes are eco friendly and made for the purest ingredients. They send a great amount of samples in your box everything from snacks to candy, Laundry Soap, Air Freshener, Hand Sanitizer, to samples of body lotion these are just examples of stuff. I received in my box it's different every month. All the products I received are great best thing is their natural! 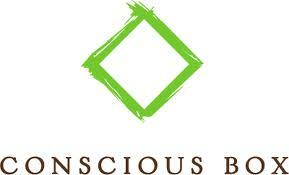 Please go check there site out and start getting ConsciousBox. Wow -- what an awesome variety in your box! I love natural products! OMG!! What an awesome company! !